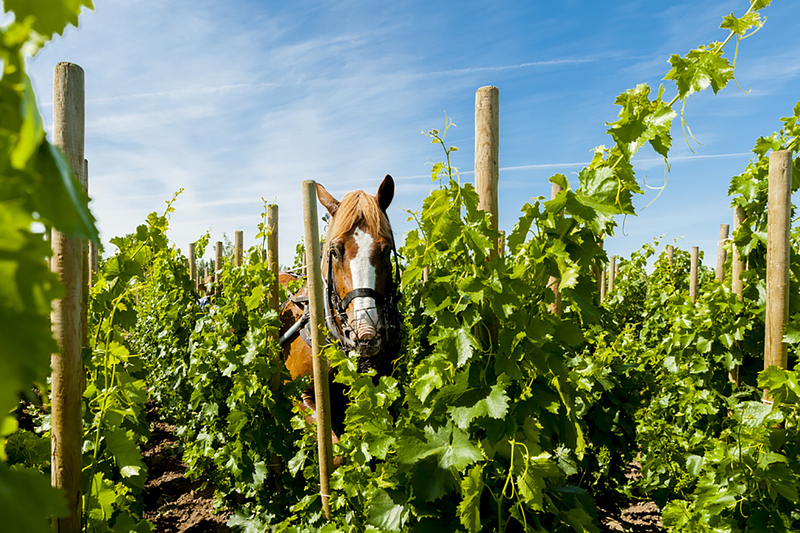 A lot of horse power is required to tend the narrow vineyards at Cayuse. Walla Walla: How'd we get from wheat to wine? Until the 1970s, Walla Walla’s hillsides were blanketed almost exclusively in dryland wheat. Onions and apples dominated the lowlands. There were exactly zero wineries. Then one fateful night, two army drill sergeants—Gary Figgins (right) and Rick Small (left)—shared a bottle of ’68 Heitz Cellar Cabernet from Napa and caught an incurable case of the wine bug. Small, a fifth-generation Walla Wallan, had studied agriculture at WSU with the intention of working the family farm. “I tried. I drove the tractor, but it was so boring,” he recalled. “I told my Dad I just couldn’t do it.” Small was interested in the work being done at Chateau Ste. Michelle, however, and made a deal with his father who let him plant some grapes out at their property in Woodward Canyon. This trial-and-error phase – like planting vines on low elevation plots susceptible to freezing temperatures during Walla Walla’s cold winters – slowly began to yield positive results. Figgins and Small may have been the first guys crazy enough to dream of turning Walla Walla into a commercial wine growing region, but they weren’t the first to plant grapes in the valley. French fur trappers and Italian immigrants brought over vines from Europe in the late 1800’s and beyond, making enough juice to keep themselves happy. But, the drill sergeants thought the region had bigger potential. “The reason we could do it is really because nobody told us we couldn’t,” said Figgins. 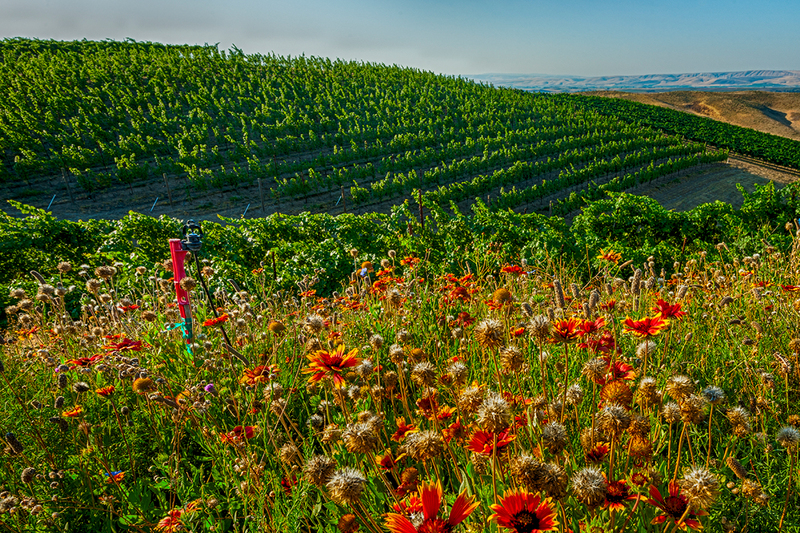 Wildflowers frame the hillside vineyards at Woodward Canyon. 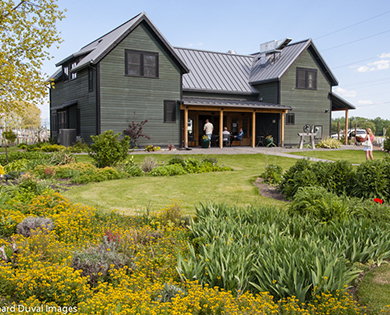 The Woodward Canyon tasting room is one of the first wineries you'll see on your way to Walla Walla. 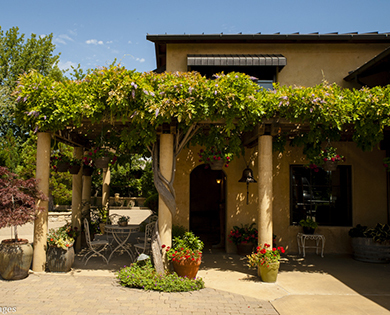 An Italian villa motif creates a perfect complement for the Leonetti Cellars experience. Located in a former schoolhouse, L'Ecole No. 41 is next door to Woodward Canyon. 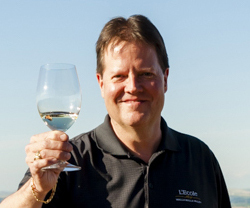 In 1977, Figgins founded Leonetti Cellar. In 1981, Wine & Spirits Magazine name his 1978 Cabernet—his very first vintage to be released—as one of the best Cabernets in the nation. 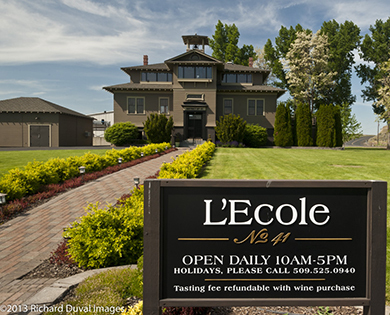 That same year, Small opened Walla Walla’s second winery, Woodward Canyon, followed a couple of years later by L’Ecole No. 41 by Jean and Baker Ferguson. Their daughter and son-in-law, Megan and Marty Clubb, quickly became an integral part of the winery and Marty joined the ranks of the early Walla Walla wine pioneers. 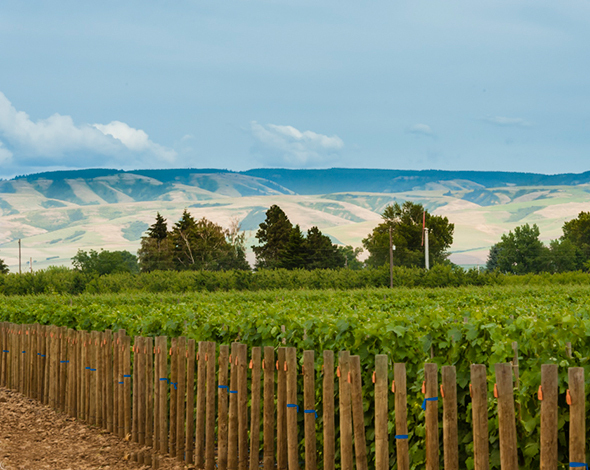 By 1984, the federal government designated Walla Walla Valley as an AVA (American Viticulture Area). 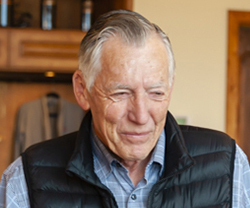 When retired civil engineer Norm McKibben moved to town in 1985, the valley’s vineyard scene would be forever changed. What started out as “helping out a friend” in the apple orchard business snowballed into investing in Hogue Cellars and planting a now defunct sparkling wine grape vineyard. Ultimately, it all led to the construction of SeVein Vineyards – a 2,700-acre vineyard project thoughtfully planned with wells and irrigation. The project managers include Marty Clubb, Chris Figgins (Gary’s son), and Bob Rupar. 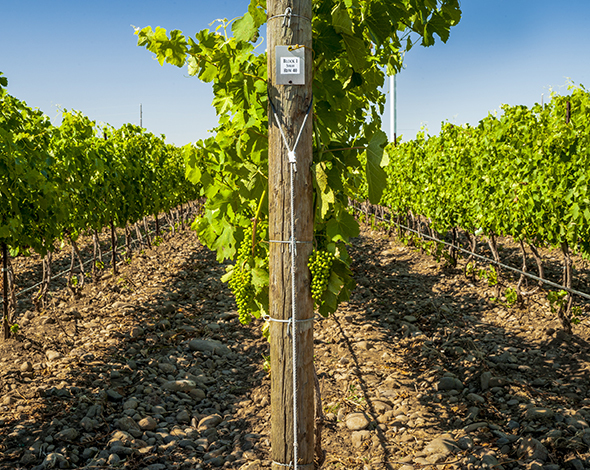 Parcels are available in 40-acre increments and many plots have already been sold and planted by wineries including Doubleback, JM Cellars, Cadaretta, and Betz. A dramatic evening hue as the sun sets over the SeVein vineyard. The Cayuse vineyard is noted for it's wildly interesting Syrah. Greg Harrington (right) of Gramercy Cellars shares a new vintage with a guest to the tasting room. 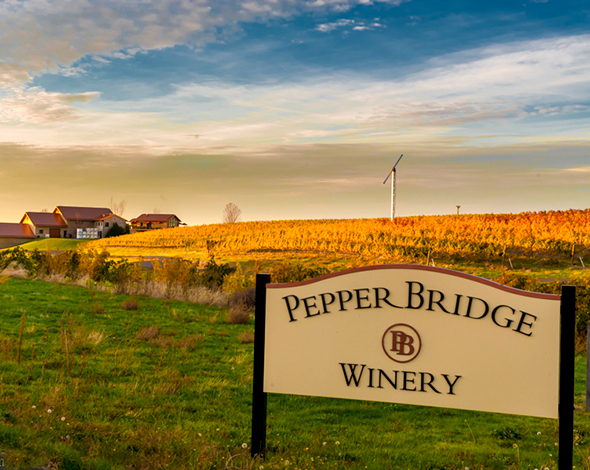 Pepper Bridge Winery represents the pioneering spirit of the Walla Walla Valley. 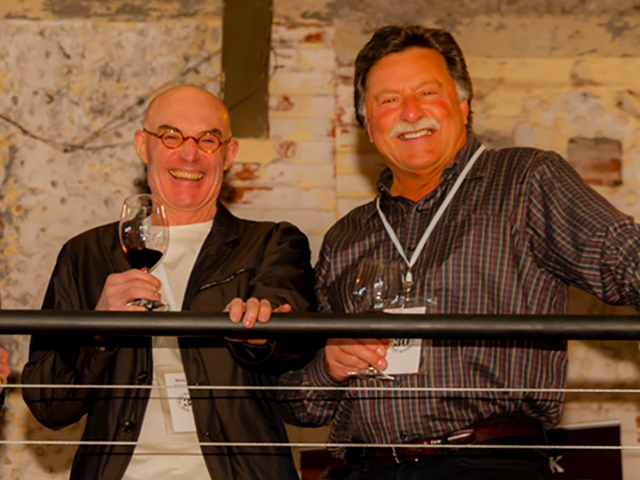 These Walla Walla Valley wine godfathers have been joined by and mentored dozens of others over the decades. Bordeaux varietals like Cabernet and Merlot may be the bedrock grapes grown there, but Rhone grapes, especially Syrah, are joining the ranks. Many of the next generation of winemakers are hanging their hats on this super-versatile grape thanks to its ability to showcase its terroir. Syrah can be fruity, inky, and jammy but it can also be so incredibly savory with smoked meats, olive brine, and barnyard funk—all depending on the where it is grown. 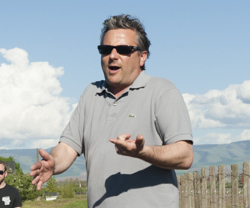 Christophe Baron, owner and vigneron at Cayuse, is arguably the first to see Walla Walla’s potential for growing wildly interesting Syrah. His keen eye spotted river cobble stones in 1996, left by a previous iteration of the Walla Walla River when it flowed south towards the Columbia River, drawing a connection to France’s famous Chateauneuf de Pape stony vineyards. 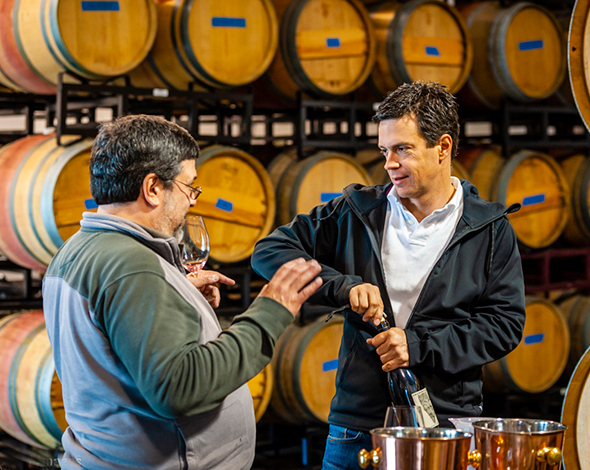 Since his “discovery” of The Rocks District of Milton-Freewater AVA, others have followed his lead including Master Sommelier-turned-winemaker Greg Harrington at Gramercy Cellars and – the man whose name is also perhaps the best aromatic descriptor of the AVA – Richard Funk of Saviah Cellars. 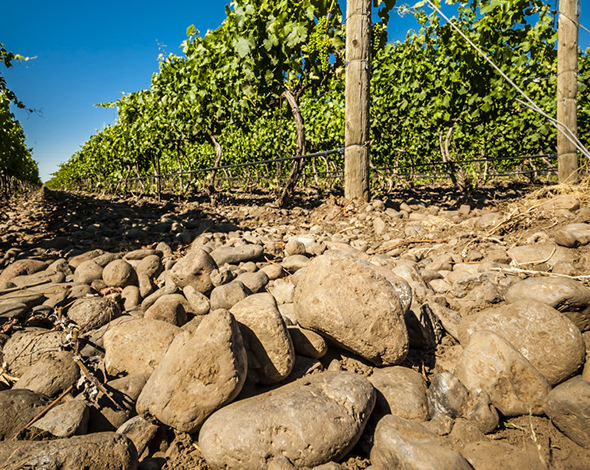 Rocky soil is one of the primary features of the Rhone varietals grown in The Rocks district. 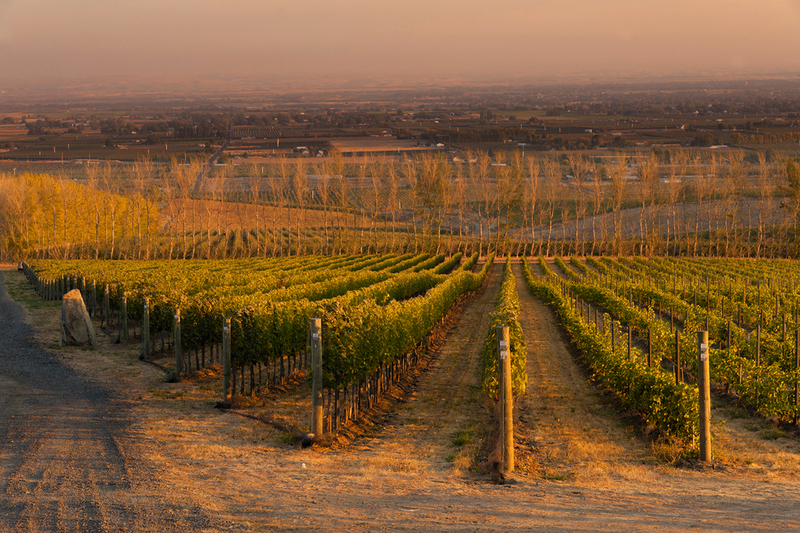 There is little doubt about why this region of the Walla Walla AVA is know as "The Rocks." 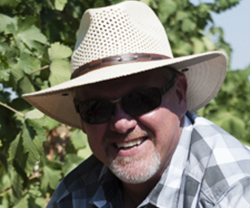 Sean Boyd cut his teeth making wine for Waters Winery in 2004 and has since stepped out to found Rotie Cellars, specializing in Rhone varietals and blends with an estate vineyard in The Rocks. Another Rhone-ranger rising to the top is Matt Reynvaan producing sold-out, distinctly different Syrah’s from both The Rocks and a vineyard up near Les Collines. Some winemakers laugh about the new urgency they feel to have a Syrah in their lineup—Mike Berghan at Gifford Hirlinger named his Syrah “Obligatory” for just that reason. Figgins says he is heartened by the new generation. “They are enthusiastic and will take our little valley into the next realm,” said Figgins.